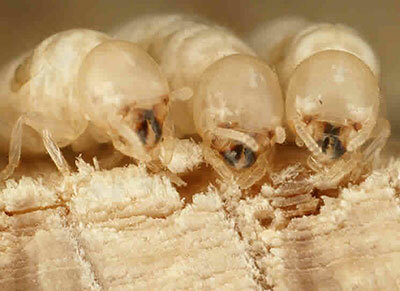 A number of chemicals are registered for use in the treatment of termite infestations. 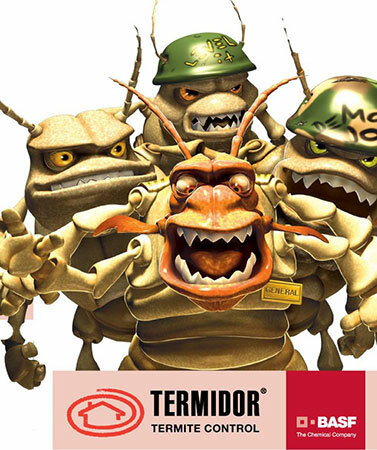 When used properly by a registered and licensed operator these treatments can be effective in controlling or eliminating termites. However, some of the chemicals used can be and are, toxic. The treatment carried out by the licensed pest controller will depend on the type of infestation and the operator treating it. Dusting, baiting and barrier protection, or a combination of these, are the three methods used to fight termite infestations. The chemicals used for each differ slightly depending on their application. The safety of some chemicals is dependent on their use and placement. For instance, arsenic trioxide used in dusting and baiting can be highly toxic in the environment if used incorrectly. Today there are many products which are relatively safe for use against termites and some use the same chemicals found in flea treatments for domestic animals. 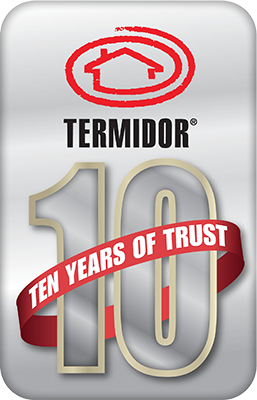 One of these, Termidor, a tried and tested product for the treatment and prevention of termite infestation is used as a barrier treatment to stop reinfestation after killing the termites. Termidor has been extensively tested and used both in Australia and overseas. The results speak for themselves.